Our 3rd stop on our 2018 Fall Crawl was on September 15th. 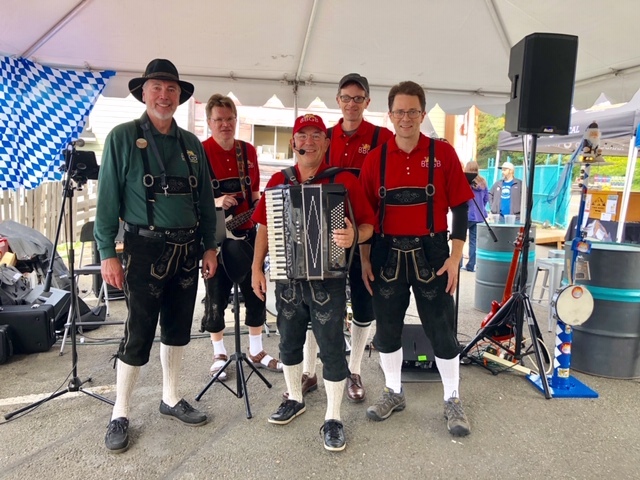 We made our 2nd Oktoberfest appearance at Ounces in West Seattle. Ounces has an AMAZING community atmosphere and we had so much fun entertaining their guests! The weather was iffy all day and Ounces put up a large performance tent. It was a good thing as late in the afternoon it started pouring rain. But everyone stayed dry and we had some amazing contests with the Chicken Dance and The Bavarian Pole Dance.